How BIG is your Inbox? Agile Pete on Definition of Done is easy right? Irish on Definition of Done is easy right? December 6, 2016 by Scrum Ronin·Comments Off on How BIG is your Inbox? 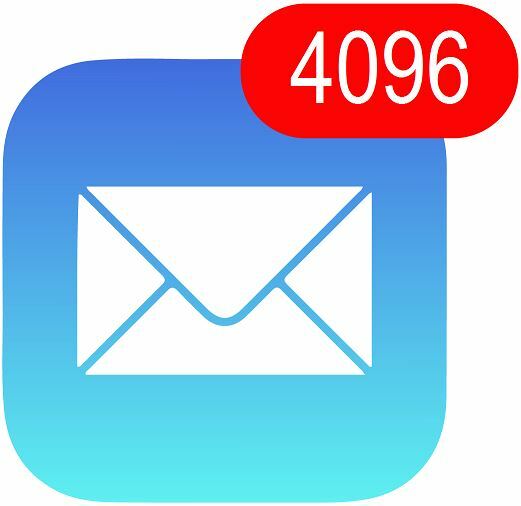 Whilst collaborating this week I glanced at my colleague’s Inbox and saw they had 4096 unread e-mails. This was massively shocking for me, seriously how do you get to 4096 unread e-mails? Be honest, it is not a great state to get in with e-mails crying for attention, calling to be prioritised and causing you to search for what you need. Decision fatigue is caused by reading the same e-mails repeatedly and re-prioritising them, this leads to a deteriorating quality of choices made throughout the day. We need to solve this by sorting out your inbox, really if you cannot even keep control over your own inbox what hope do you have for the rest of your life? So how could we fix the problem? It’s a big-bang method giving you a nice clean slate, blank canvas or scorched earth but like all quick fixes it will not work. You are simply hiding the real problem which is the way that you manage your e-mail. The number of inbox e-mails will begin to rise and given a few weeks you will be back in the same situation wondering where it all went wrong. Create folders to store resolved e-mails – Categorise according to your main areas of work; for example I have folders for each team I work with. Schedule time with your e-mail – Just like your family you need to box out quality time. Initially schedule a half hour at the start and end of each day to get on top of your e-mail and then put check-points in your day to remain on top of the situation. Turn off notifications and deal with e-mail when you are ready instead, if it is really important then people will call. This is a much more efficient technique then responding to every e-mail as it arrives. Send less – The law of e-mail states “the more you send, the more you get” so simply send less and you will receive less. Not all e-mails require a response and often a phone call or even better, a face-to-face conversation is preferable. Consider others – before sending any e-mail ensure you distinguish between people you want a response from (the To field) and people you are copying for information only (the carbon copy field). Note that the Cc field is often misused and generally indicates time-wasting e-mails prime for deletion. Always minimise the number of people in both fields. Think about the medium – E-mail is not ideal for sensitive, nuanced conversations where misunderstandings can generate ill-will and aggressive responses. The most efficient and effective method of conveying information…is face-to-face conversation. Unsubscribe – We all sign up to interesting sounding blogs and notifications which we can later regret. 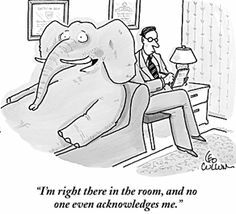 Unsubscribe from any that you have ceased to gain value from, assuage your guilt by understanding that no-one will know or to be honest – care. Purpose – Make the purpose of the e-mail clear and to the point. Action – State the action you are requesting, when it is due and who owns it. Supporting Documents – What else does the recipient need from you? 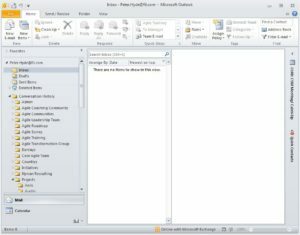 Subject – Ensure that the subject line effectively summarises the message? 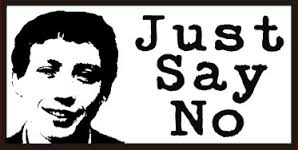 Just say No – Zammo was probably right, if it does not align with your objectives and role then say you are unable to help. Reply – reasonable if an e-mail response was expected. Note that it is frequently better to speak with the person to complete the conversation in one go instead of playing asynchronous e-mail tennis for the next few days. Delete – great, take the offered information and delete the e-mail. Store – move the e-mail into an appropriately named folder. Note that this is for storing e-mails that have been dealt with but may be needed for future reference; it is not to create multiple to-do lists. Now we have agreed the tools and practices we can look at how to get through your massive inbox backlog. There are several methods to do this, what I recommend is described in this section. 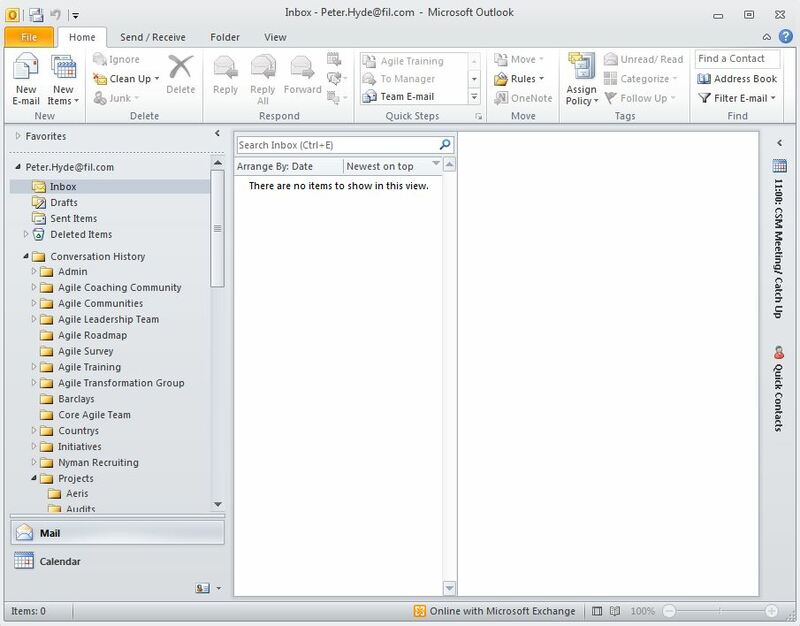 Create a sub-folder on your Inbox called Inbox–old and move all of your existing inbox into it. This enables you to join the elite set who own an Inbox Zero. You then need to maintain the practices described above to ensure it remains at zero, ideally by the end of every day. Now we can deal with your previous bad habit, note down how many items are in your Inbox–old folder – this is your starting point. Set aside 15 minutes and starting at the top of the inbox and see how many e-mails you can burn through, this is your velocity. Your starting count divided by your velocity tells you how long this process is likely to take. Set aside another 15 minutes and see if you can improve upon your first velocity. 15 minute chunks are achievable and about how long my tea stays hot for (alternatively use pomodoros – reference below). Gamifying the process should help to make it less painful as an exercise, placate yourself with the idea that this will never happen again. Alternate methods use first pass removal, deletion of anything where you are only copied or using categories to help prioritise e-mails. Each to their own but the simplest methods are the best – JFDI. When your Inbox–old folder is empty, congratulate yourself and quickly delete it as it will not be needed again as you will remain on top of your e-mails in the future. Tony Hsieh’s Yesterbox technique: Only read and respond to yesterday’s e-mails. David Allen’s Getting Things Done method: Great content, including if it takes less than two minutes to resolve then do it now. Bullet Journal: A wider analogue organisational system. Pomodoro Technique: A fun time-management technique. Gamification: Applying gaming practices to engage and motivate people.